Upping the ante against the Naxal activity in Chhattisgarh, the Naxal operation team in the state will now work as a 'Grey-Hound Force'. Rajnandgaon Police has formed six teams of 30 officers each to fight against the guerrilla war in the region. They are named Special Task Force (STF) and Elite -Thirty (E-30). 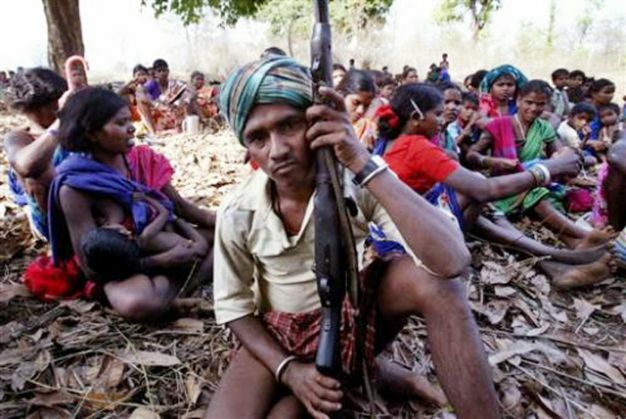 In the Rajnandgaon district of Chhattisgarh, eight blocks are severely affected by the Naxalites. Therefore, these special teams working as 'Grey-Hound Forces' will be conducting extensive search operations in the region. More so, officers will not leave the place after the operation. They will, instead, stay in that forest region for days. Andhra Pradesh was first to introduce Grey-Hound forces, right before Chhattisgarh. The officers are trained specially to live in difficult conditions in the forest. According to YP Singh, SP Naxal Operations, "We are still working on this new technique. Special teams of officers have been prepared to fight against guerrilla war, and who can survive in a forest for a long time. We are receiving a good outcome." Walking several kilometres to carry out search operations in the jungle has always been the forces' strategy. But this time, they are not just going to search the area, but also camp in there. So far, Grey-Hounds have busted several Naxal groups and made arrests. Also, landmines laid by the insurgents have been destroyed. Earlier, the operation team would have to battle with the insurgents while trying to return to their base camps. Generally, Naxalites attacked them on their way. More so, officers were more vulnerable to landmines as they preferred trucks or vans to return to their base camps. But now the tables have turned.